I feel fortunate that bursting of crackers and fireworks lit firmament of the Vishu celebrations on 15th April, 1946 heralded my arrival as Mullappllly Ramachandran to the world as the first son of Sri Mullappally Gopalan and Smt Paru Amma, in the small village of Chombala in Vatakara, Calicut District, Kerala. My Mother vividly remembers the reverberating staccato bursts of crackers/fireworks of the Vishu Pulari (dawn of Vishu) as she went through the pangs of labor. The healthy but highly political charged atmosphere at home had a strong impact on me in my early childhood itself and it continued as rock solid foundation for my political career ahead. My father, a renowned freedom fighter, held regular discussions and meetings in our front verandah. Elders from in and around the village used to gather here daily. The topic of their discussions always veered around India's freedom struggle - as my mother later told me. My mother a 'soft' natured, gentle lady, was a strong support to my father, always preferred to remain in the shadow of her husband. The tensions of the freedom struggle and my father's total commitment to that cause did affect her deeply during the early years of her marriage. Our village could not be called prosperous. Financial stringency afflicted almost every household. My early education had a totally rural background. The Lower Primary school in which I learnt the basics was an epicenter of freedom movement in our village. Many veteran leaders came to address gatherings in this school. The school has a glorious heritage both cultural and political. It was in this school that I was initiated to the first letters on a Vijayadeshmi morning. It was in this school that I was also initiated to the field of drama and elocution `and I staunchly believe that the seeds of leadership were sown in me here. Joined the Basel Evangelical Mission School, Chombala for my Upper Primary level classes. It was at the BEM school that influence of Christianity and the related values and way of life left a deep imprint in my mind. The school had an Orphanage attached to it, which awoke in me the feelings of compassion and humane instincts. Much later in life the Thalasseri Bishop had introduced me as a 'better Christian than most Christians'. It was the BEM School that had molded me thus. I joined Kerala Students Union (KSU) movement, the students wing of INC, for the first time when I was a student at the BEM School. Here I was the Blue eyed boy of all teachers. 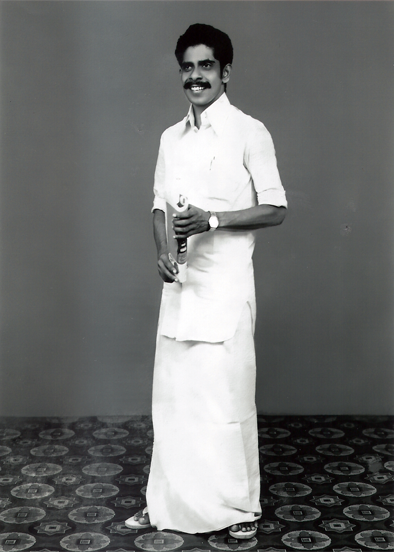 Sri Nambiar Master, our Head Master was an excellent teacher as well as a good human being. I was the School Leader and it was here that my character was molded. Joined the Govt. Fisheries Technical High school, Madappally for my high school classes. This was five kms from Chombala and the walk to school gave us good opportunity for talks and sharing of views among friends. This period of life was indeed an invaluable experience. Children from around a radius of 12-15 kms came to this school, mostly on foot. They were all from below middle class families. The school was located on the beach and had thatched roofs which were badly affected by rains and wind. The slightest hint of rains would give us a holiday. This school was noted for sports activities but I was not an active participant in this field. 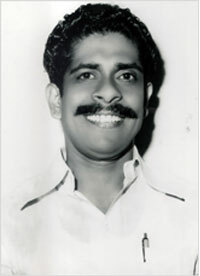 Sri K.S. 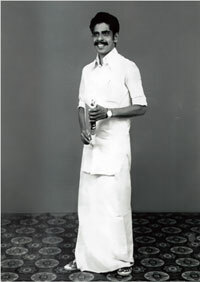 Gopala Pillai, a model Teacher, was the Head Master. 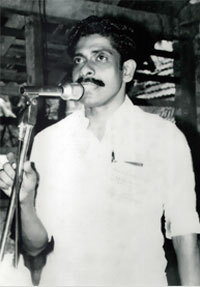 It was at Madappally High School that I was really active in student politics. I was entrusted with Membership Books by senior Congress leaders and was able to completely fill in the three books. I still remember vividly the care with which I preserved the collection money in anticipation of the senior leaders coming to collect it. The money remained in my custody thus for almost three years before I realized no one would come to collect it. The student leader in me was awakened at this time. The Village Library - Chombala Mahatma Library- had a great influence on us youngsters. This was the meeting place for all the young book lovers. I remember with nostalgia the discussions we had on the books each of us read. The Madappally College is the first in our Taluk and but for this College hundreds of students in and around my village could not have hoped for higher education. Here also 99% of the students were from below average and marginal families. But we were rich in the friendship and companionship we shared. There was earnest competition in reading the latest publications and the discussions which ensued were our greatest pleasure. Children, though poor, had high values and principles. This can also be attributed to the fact that at this Govt. college we had some of the best available Lecturers and Professors. The college had a lot of extracurricular activities. I was Secretary of the Fine arts Association. The first unit of the KSU was formed by us here. The KSU had a good leadership and it had the cream of the students on its membership. With well reputed student leaders, KSU was a craze with the students then. We used to go to other institutions to set up KSU units there. 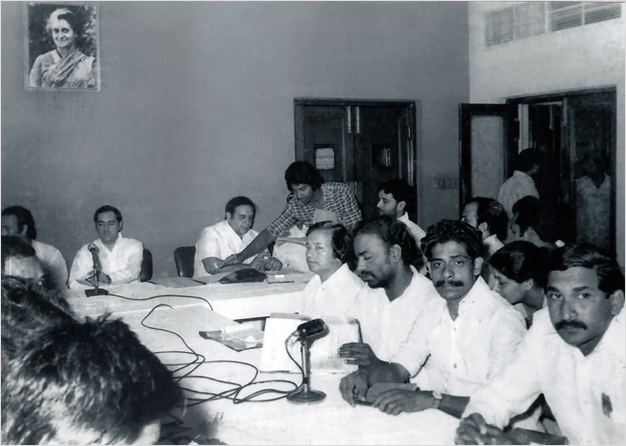 It was at this time that I started attending public functions and making public speeches. Evenings were mostly spent meeting at Vadakara. All of us who were politically inclined used to meet there. Discussions would go on until late and often we had to walk home. Around this time I started attending and addressing public functions and street meetings and was kept busy day and night. I thus became Vadakara Taluk's reputed KSU Leader. Post Graduation was at Calicut University. The History Department of the University functioned at Guruvayurappan College- where I became an inmate of the hostel. I was fortunate to have wide acceptance from the College students. During my first year MA in 1967-68, I became the District KSU President of Calicut. 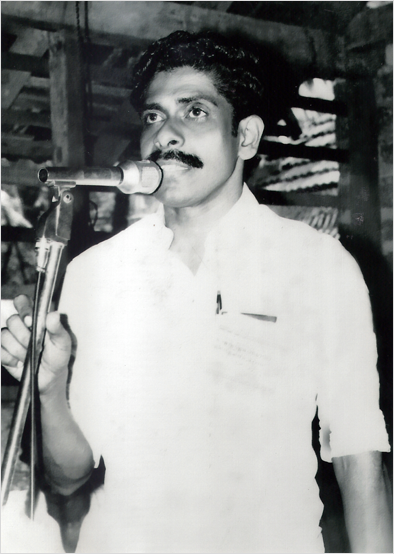 At this time Malapuram and Wyanad were part of Calicut district and I became fully involved in student politics. I visited every school/ College and institution to build up KSU and to promote the KSU movement. 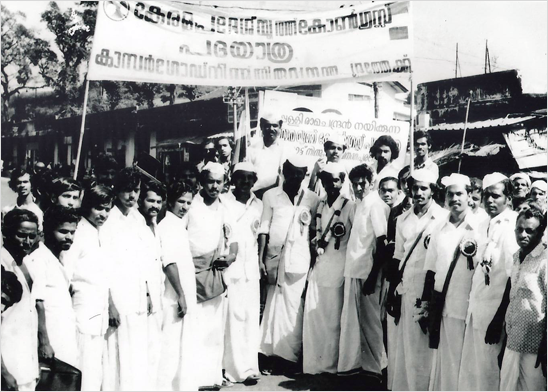 In 1968-69, the 10th Annual (State) Conference of the KSU was held at Calicut. This was a turning point in the history of KSU. 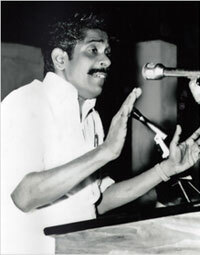 The conference drew the largest congregation of students and I was elected the Vice President of the State KSU while Sri Oomen Chandy was the President. 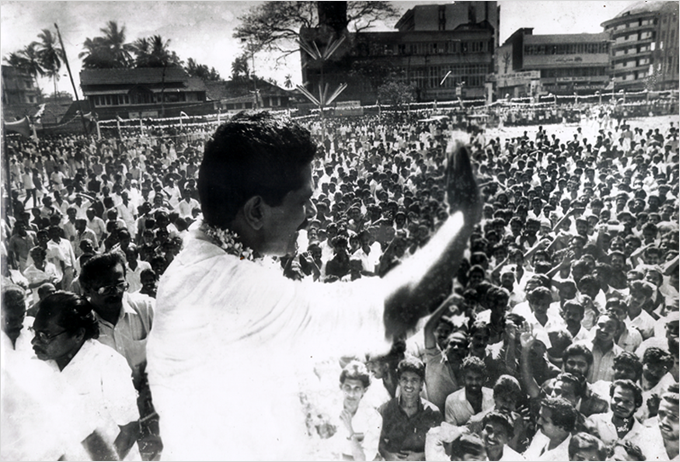 At this time I became very popular in the whole of Malabar. Around this time circumstances at home made me decide to go to Madras to prepare for the Civil Service examination. Here I continued my reading habit. But this turned out to be a short span of 6 months only. I had written only five papers of the IAS exams when there came the Party's first split which brought me rushing back to Kerala. 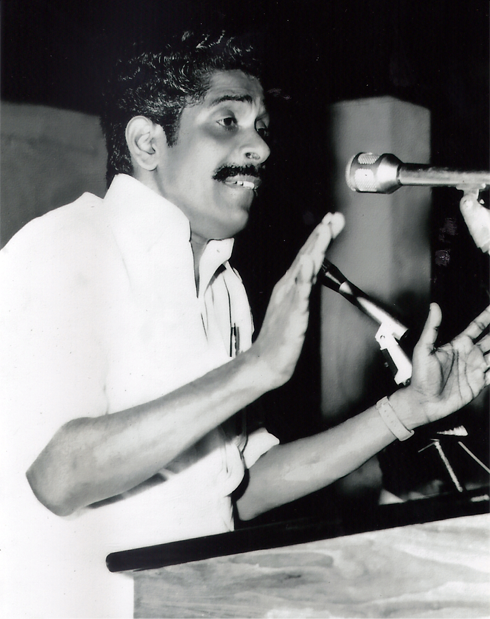 Back in active politics we started at Calicut the District Congress Forum for Socialist Action. This group was very active with meaningful seminars, symposiums, discussions etc. I became the Calicut District Youth Congress President and at this time joined the Calicut Law College as its first batch for LLB. I also joined the 'Viplavam' daily as chief Sub Editor- along with Sri Thayatt Shankaran, Mr.P.P.Ummerkoya, Mr. P.A Mohammed Koya, Sri K. Balakrishna Kurup, Sri Moodadi Damodaran etc. After taking the Law Degree I got enrolled as an Advocate and started practicing under Ad. Sri Ratna Singh. But I was too actively involved in politics to be serious about practice at the Bar. I thus became a full time Political activist. 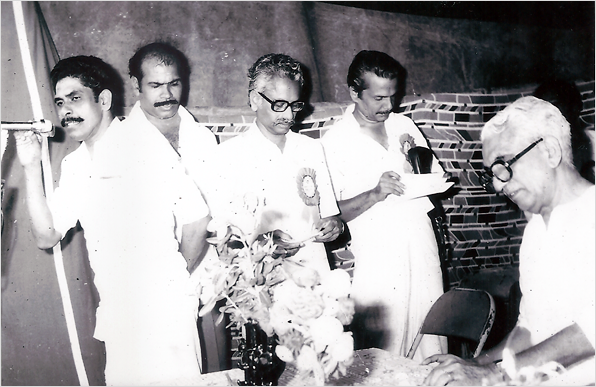 Calicut was rich with a literary and progressive society with people from all Parties. The wide experience and exposure I got at Calicut had a remarkable influence on me. The debates, speeches and seminars I attended there helped a great deal to mold me. The 1975 emergency was yet another turning point. I stayed staunchly behind Smt Gandhi. In 1978 the Party split again and many deserted Indiraji. But I remained ever faithful. 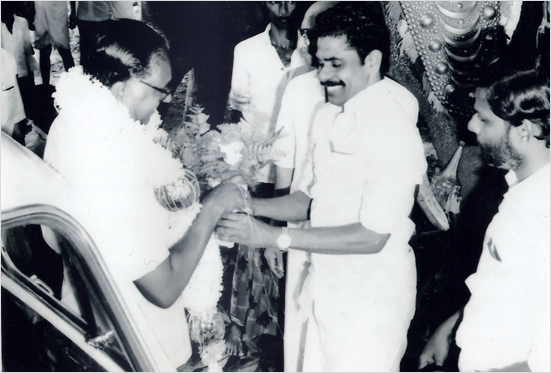 I became the first State Youth Congress President after the Split. I could make an indelible mark in State politics. My mind goes back to the Youth Congress National Camp held at NagarjunaSagar, Andra Pradesh. I delivered an honest and open speech, criticizing our commissions and omissions during the Emergency and stressing the need for introspection (I was later told by many that my language was flowing and fiery. And I was warned of possible severe action by our then leader Sri Sanjay Gandhi). But contrary to all speculations Sri Sanjay Gandhi not only complemented me on my forthrightness but also rewarded me by including my name on the youth delegation to attend the International Youth Festival at Cuba. The International Youth festival attended by youth across the world and belonging to all factions was a wonderful experience and was my first trip abroad. We visited Tashkent, Russia, Cuba and Havana, touching Morocco on the way. The company of Sri Ramu Kariayat, with his wide experience, broad outlook and his inseparable camera left a deep imprint on our minds. 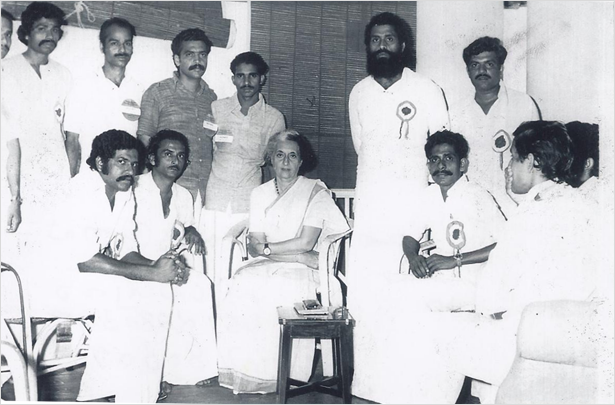 Sri Kodiyeri Balakrishnan,Sri M.A.Baby etc were all part of the team that attended this Camp. 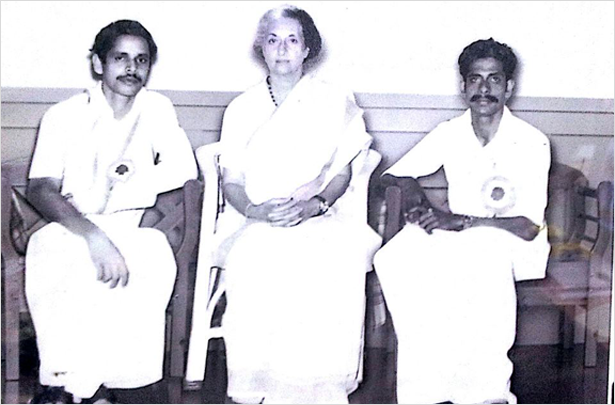 The touching consideration of the Gandhi family can also be seen in Indiraji's meaningful response on that indelibly sad day when my fight against the authoritarian style of Sri K.Karunakaran had started. We were all gathered at the Kochi airport to see off Indiraji, who was on her way to Lakshadeep. One of the eyewitnesses to the incident is Sri Shankaranarayanan, now the Hon'ble Governor of Jharkand. As per protocol all were lined up and Sri Karunakaran introduced each person queued up there- except me, whom he deliberately ignored. Tears welled up in my eyes at the insult. Indiraji passed on, completing the whole row. Then, just before she stepped onto the ladder to the aircraft she turned, came up to me, wiped my tear and said " Silly! Why are you crying when I'm there? " The comfort and joy this gesture gave me was boundless. Indiraji's visit to my village ? the Chombala Beach was reminiscent of Jawaharlal Nehru's visit here at the instance of my father, Sri Mullappally Gopalan. I was the Youth Congress president. There was a great crowd on the beach to hear Indiraji and the uncontrollable crowds were eager to touch Indiraji. We were not able to control the crowds. The CPI(M) Govt. who ruled at that time did not offer security- there were no barricades. Under the scorching sun on the beach Indiraji lost her chappals. Her petal soft feet could not take the heat of the burning sand. It was at this time that I got the opportunity to carry Her, frail as she was, from the podium to the vehicle, across the sandy beach. 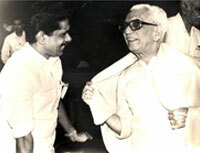 Late Dr. Adiyodi was also with me then. Her words as we carried her on that hot day still reverberates in my mind- " If you are not able to manage this small crowd How are you going to head the State? " The perfectionist in her was evident even in small matters. If by chance you happened to be talking to her at her morning/study table and fidgeted with her paper weight or any item on the table - you cannot but notice how she puts the item back exactly where it was originally placed. So also her self discipline. She saw to it that every bit of dust was cleaned. Often dusting it herself. Putting off unwanted electrical gadgets was also another of her 'musts'. 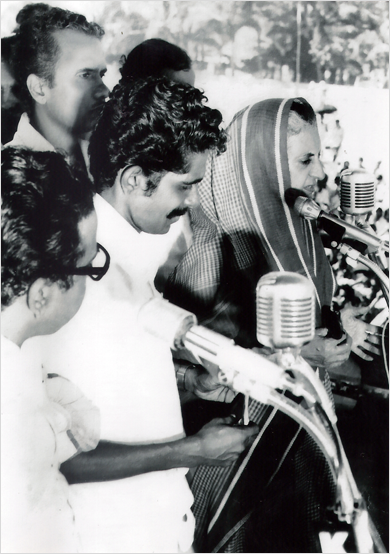 1978 Padayatra - 58days on foot across the length and breadth of the State to declare support for Indiraji. We had sought the presence of Sri K.Karunakaran to flag off the padayatra at Kasargod. He bluntly refused. Sri K.M.Chandy, then KPCC President who was sympathetic towards me and empathetic towards my cause, also could not make it. Finally it was Dr. K.G Adiyodi, Vice President, KPCC who accepted invitation. Most days we were starving. Our yatra had to halt at Shoranur for want of funds. The locals were good people but unable to finance us, small as our needs were. Finally one of the participants hailing from Trichur went to his home town and came back with some funds to help us resume our padayatra. Those days were sans the pomp and pageantry of today. We covered all places on and off the coast. 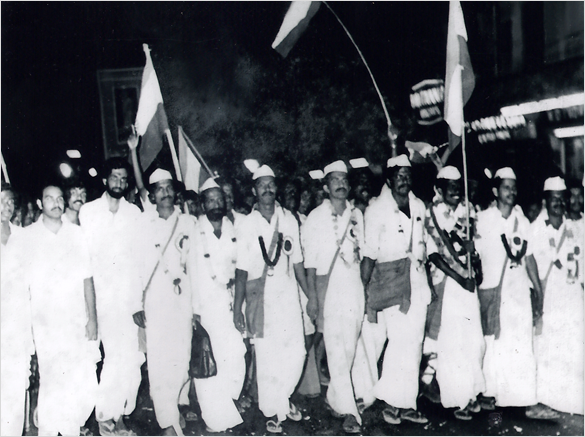 Each member undertaking the padayatra kept his vow to move on foot alone until we reached Trivandrum. Sharing those critical days created among us participants a unique and unbreakable bond which binds us to this day. '2005 Padayatra' - reenactment of the Salt Satyagraha on its 75th anniversary. Walking from Calicut to Payyannur- just as Sri K. Kelappan, known as Kerala Gandhi, had done 75years ago. 'Satyagraha' at Kannur - Undertook total fast for 11 days before being moved forcibly to the Hospital. This was undertaken as line of action to secure free and fair elections to the Co-operative sector. The assassination of Rajivji is personally the greatest and deepest loss in my political life. The years I served the Party as AICC secretary directly functioning under Rajivji were some of the most satisfying and rewarding years of my political career. 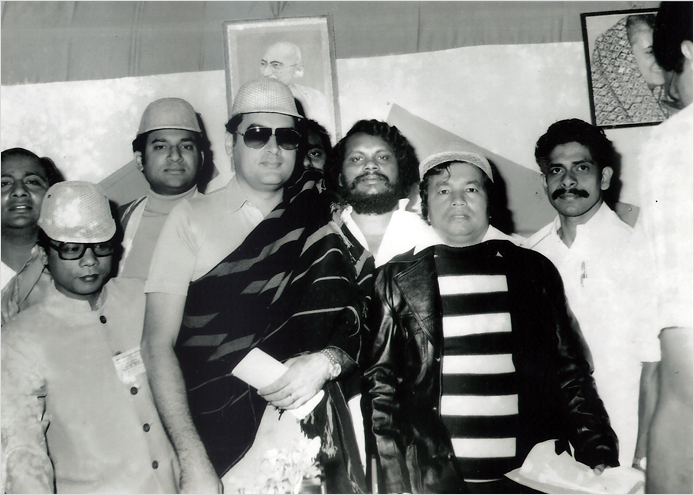 In Rajivji I had not only a leader but more closely a brother, a friend and a guide. 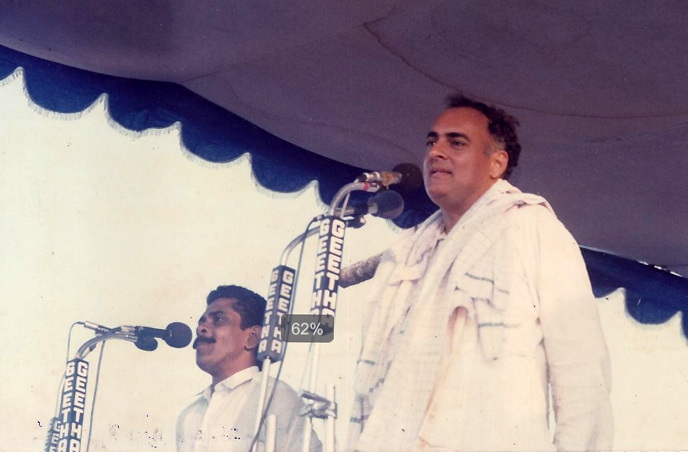 Rajivji was a workaholic without appearing to be one. He was calm and composed under the most trying circumstances. Never have I seen him unduly ruffled. 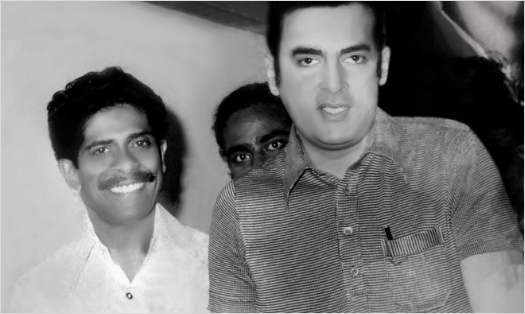 We - Rajivji, his trusted secretary Mr. V George and I, have worked many days deep into the night. I can still recall the taste of chocolates he used to stuff into my mouth while we worked without dinner. His love for driving and flying has given me the chance to be driven home in the wee hours many a morning, by no less than Rajivji himself. Also during our extensive tours he often took the controls of the flights. Not a bit fussy and fully understanding the limitations of rural India, he tolerated the lack of standard facilities and even hygiene in some of the Govt. Guest houses where we were forced to put up. I remember the yatras along the winding and rough Godavari river in the cyclone hit coastal Andhra- 1000s of men, women and children waited along the banks for a look of their beloved leader and if possible a chance to touch him. Be it the rural poor- children of the farmland or the posh International standard urban rich- including foreigners- all loved Rajivji, who had an uncanny ability to reach out to all alike. Rajivji first ate ripe jackfruit at Vizag guest House. He did not know how it was to be eaten. But once he savored the aromatic fruit he was awestruck at its sweetness and commended it for processing, tinning and marketing. I was the first, ever since independence, to wrest Kannur from the Marxist. 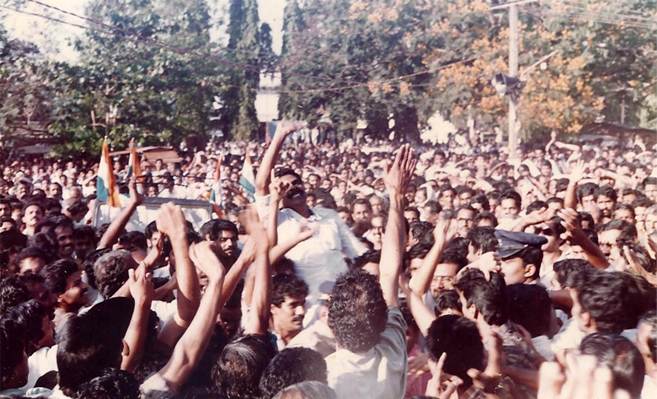 Rajivji's visit to Kannur during my election campaign in 1984 made a deep impact on the electorate. 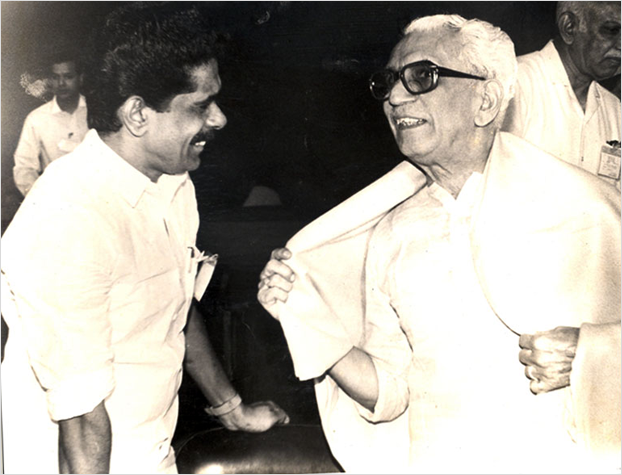 His special appeal to the people of Kannur that he wanted me in Delhi went a long way in ensuring my victory. With his blessings I was not only the first Congressman to be elected from here to the Lok Sabha but also to be elected to the Lok Sabha five times in a row from this communist bastion. 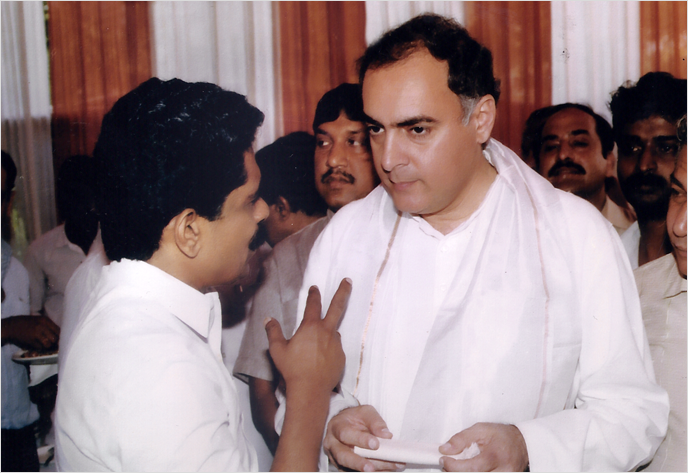 Wherever Rajivji sent me as emissary of the Party to assess the political situation, be it Karnataka, Tamil Nad, Andhra Pradesh or Lakshadweep, I recall with pride that he had taken every word of my Reports seriously and acted on the same without any hesitation whatsoever. To my immense satisfaction every Report of mine turned out to be accurate- giving unbiased and objective assessment of the situations. I still cherish the words of complement he showered on me on such occasions. 1) Havana, Cuba - To participate in the International Youth Festival. 3) Indonesia- to sign MOU as Minister of State for Agriculture and Co-operation, Govt. of India. 5) Geneva, Switzerland- to participate in the International Conference on Disaster Management, as Minister of State for Home Affairs, Govt. of India. 6) Seoul, South Korea- to Chair a Session and to participate in the 4th Asian Ministerial Conference on Disaster Risk Reduction, as Minister of State for Home Affairs, Govt. of India. 8) Johannesburg, South Africa- to visit historical places relating to Gandhiji and Indian History. Hunger strike- as MP of Kannur- affectionate concern and wholehearted support from all sections of society. 2005- Re-enactment of Salt Satyagraha- K. Kelappan march from Calicut beach to Payyanur on foot. Also joined the Kerala senior delegates to participate one day in the Dandi March from Sabarmathi Ashram to Dandi. 1) 11th January, 2017- At the Jan Vedna Convention, Talkatora Stadium, New Delhi- Moved Resolution on Indira Gandhi's Birth Centenary. 2) Completed the Congress Organizational Election process 2017-18 satisfactorily in a free, fair and transparent manner and declared the results on 11th Dec 2017 and handed over the certificate of election to new Congress President Sri Rahul Gandhi on 16th Dec.2017.